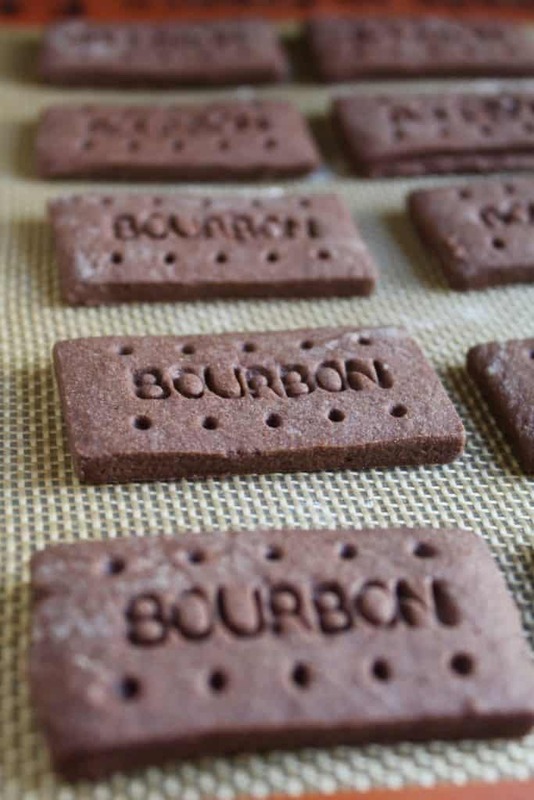 Want a Bourbon biscuit recipe? I’ve got the best Bourbon biscuit recipe for you, right below! 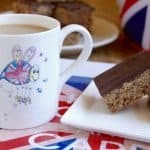 Sorry, there’s no liquor in this classic British biscuit, but it won’t matter because you’ll fall in love these chocolate cookies anyway. 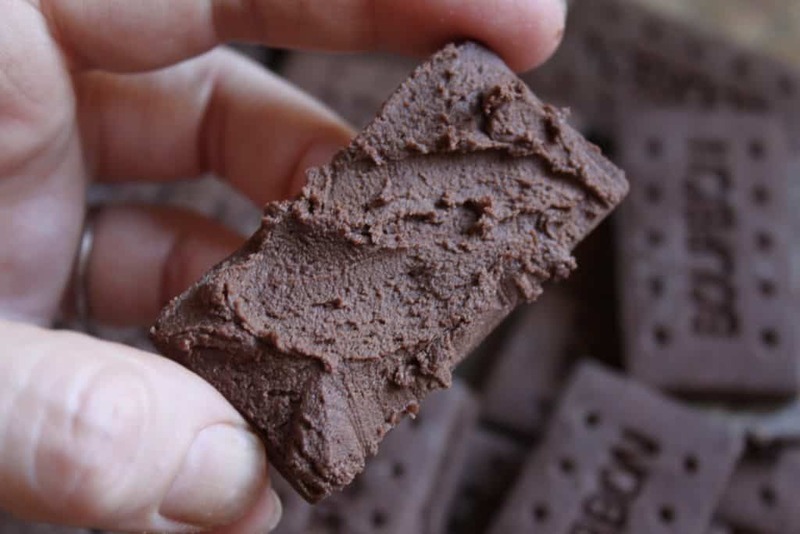 If you go to Britain, there’s a good chance that you’ll cross paths with the classic British Bourbon biscuit. 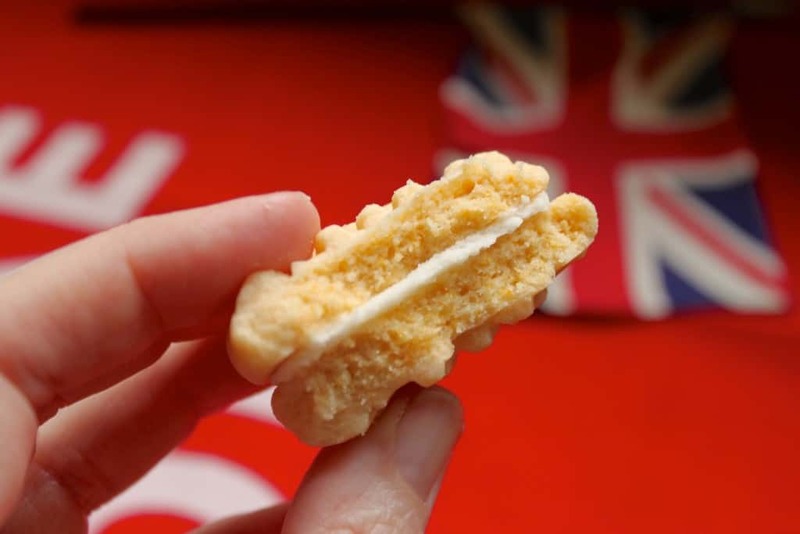 Along with Digestives, Custard Creams, and shortbread, Bourbons are some of the most popular biscuits which are frequently enjoyed across the pond. Despite their name, there is no alcohol involved. 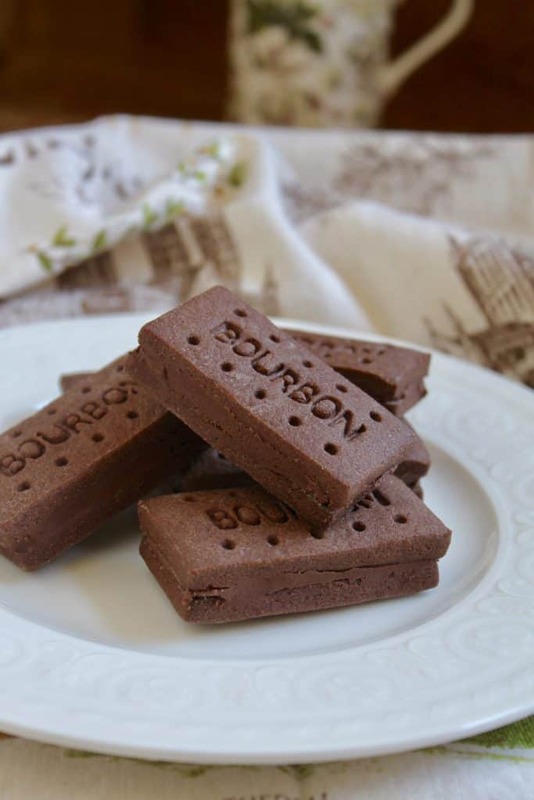 Bourbon Biscuits are simply chocolate sandwich biscuits with a chocolate cream filling. 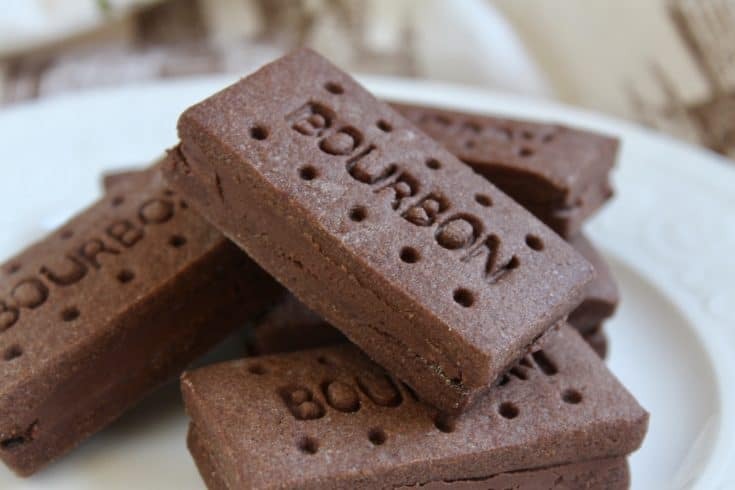 Like their Custard Cream cousin, this Bourbon Biscuit recipe requires custard powder to give them their unique flavor. This is not just another chocolate biscuit. For Christmas last year, my daughter gifted me with something she knew I had wanted, these biscuit cutters! They include Bourbon Biscuits, Party Rings, Jammy Dodgers and Custard Creams cutters! She gave me the personalized tea towel, too! This will explain how I was able to make the Bourbon Biscuits look like a store-bought biscuit. No worries if you don’t have them, though; you can just cut the chocolate biscuit dough into fingers and use a fork to prick them. 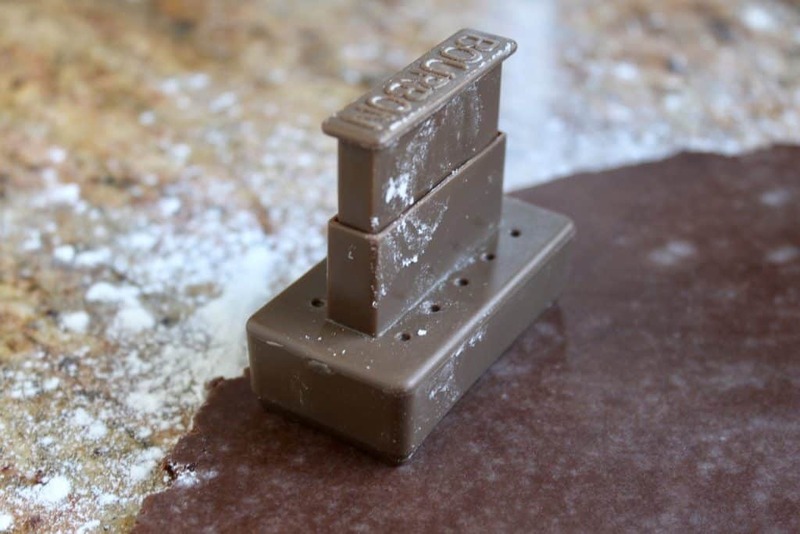 If you use this Bourbon Biscuit recipe, they will taste the same with or without the cutters. If you want to buy the cutters, you can click the link above or at the bottom of the post to go to Amazon.com. 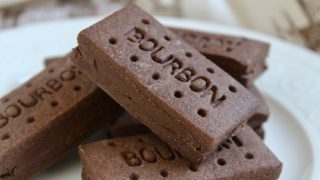 NB: according to Wikipedia, these biscuits are called Bourbon biscuits after the European house of Bourbon (nothing to do with the liquor). 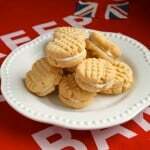 They also note that Bourbons are apparently the 5th most popular biscuit in the UK for tea dunking! Sift flour, custard powder and cocoa into a large bowl. Cream butter and sugar, then stir in the egg. 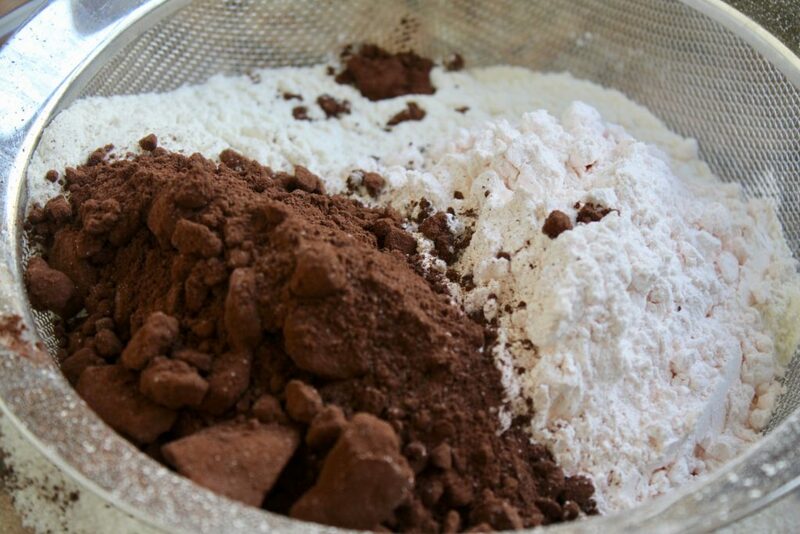 Next, add the sifted ingredients from the other bowl and mix to an even dough. Put the dough onto worktop and using flour, roll out to about 1/8″ thickness and cut into fingers. Then, place on lined baking tray. Bake for about 12 to 15 minutes, turning half way through baking time to assure even results. Finally, place on cooling rack and let cool before filling them. Mix all the ingredients together to form a stiff buttercream. Adjust with a few drops of liquid; just don’t make the filling too soft. Next, match up two biscuits at a time (they won’t all be exactly the same size, believe it or not) and sandwich together with the filling. Continue until all the biscuits and filling are used. Finally, enjoy with a steaming hot, cup of tea! A classic British chocolate biscuit. Cream butter and sugar, then stir in the egg. Add the sifted ingredients from the other bowl and mix to an even dough. 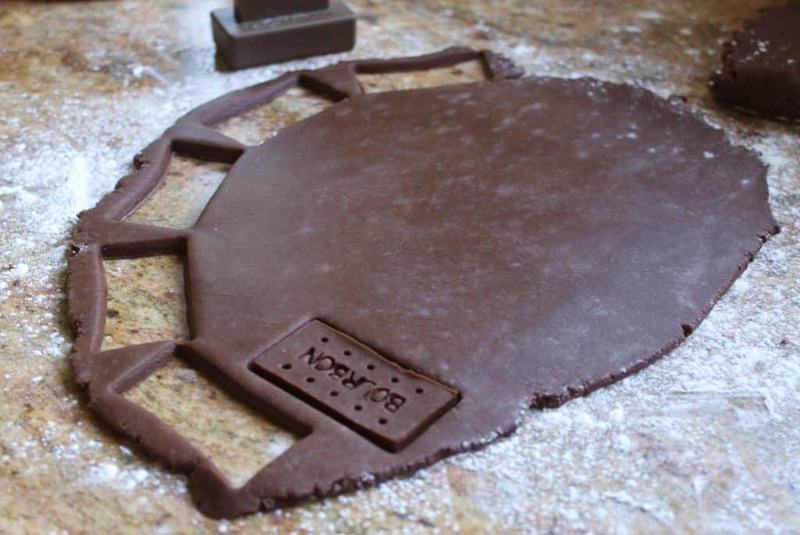 Place onto worktop and using flour, roll out to about 1/8" thickness and cut into fingers. Place on lined baking tray. Place on cooling rack and let cool before filling them. 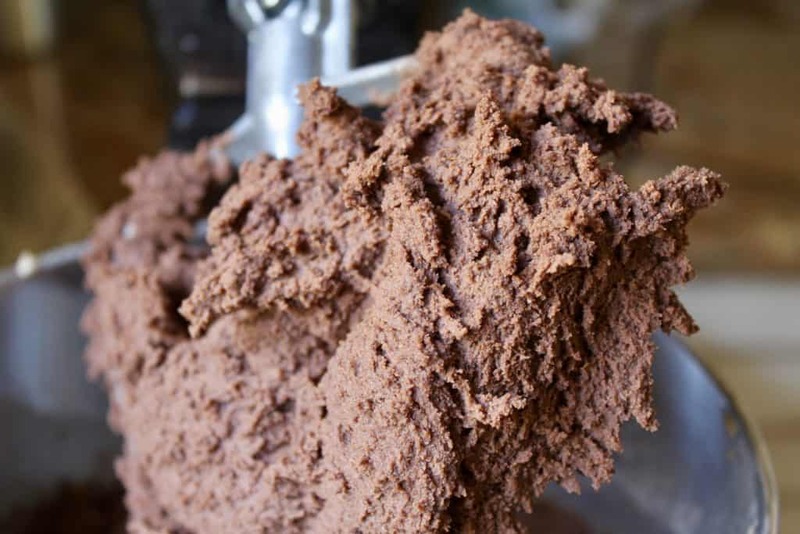 Mix all the ingredients together to form a stiff buttercream. 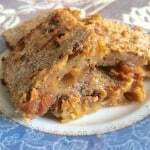 Adjust with a few drops of liquid; just don't make the filling too soft. Match up two biscuits at a time (they won't all be exactly the same size, believe it or not) and sandwich together with the filling. Continue until all the biscuits and filling are used. Enjoy with a steaming hot, cup of tea! I can’t wait to try this recipe. It looks good. Do you have a recipe for ginger crisp. If so’ please share. Thank you. You’ll love them, Jackie! I don’t have one for Ginger Crisps, but would these fit the bill? From my friend Cynthia at What a Girl Eats. Bought the cutters and made your recipe, following the instructions exactly. These are FANTASTIC! So easy to make, and so perfect. The reviewer who said the dough didn’t come together in the mixer just needed to be more patient. Still agog that the filling tastes just like the factory-made, only better and there’s more of it! Love the more sturdy texture of the biscuits, too. Looking forward to trying your custard creams. and hoping you plan recipes for the other cutters! Oh that’s just wonderful, Annette! So happy you tried them and loved them. I think you’ll be even happier with the Custard Creams, to be honest! As for the other cutters, I’ve already done the Party Rings, but have yet to do the Jammy Dodgers. If you want to make those though, make the dough for my Snow Cookies and just put jam in the middle! :) Enjoy! Can I substitute the egg with something? I have just been reading the recipe and it says 290 calories at the bottom. Thanks, Elizabeth. I’ve since updated the nutrition information, but it’s just a guide. 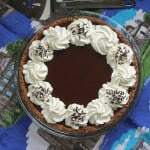 It’s difficult to get a perfect number of calories. I loved Peak Freans! That’s so sad that they changed the recipe! I’m sure you’ll love these, Aliza! Let me know how it goes! Haha! Glad you liked them. Wonder why the mixer didn’t work. Did you weigh the ingredients? That makes a big difference! Peek Freans I believe it was spelt. They were lovely biscuits, we always had a tin at Christmas. These sound delicious though. They look delish. An idea of my perfect day would be cool fall weather, coffee, a good book, and a side of tasty treats to go with everything. These look like they’d be the perfect accompaniment. Hi there, good question! Truly, you should always use unsalted butter in baking, but since I’m trying to encourage anyone and everyone to bake, I try to make it as easy as possible. I don’t want someone deciding not to make this recipe because they don’t have unsalted butter, so I’m assuming most people will use salted. You can use either one, but if you use unsalted, please add a good pinch of salt. :) Enjoy! I suppose most people think it would be too much to have these with your cocoa in the morning… I am not one of those people. I am however, considering getting the bourbon stamp! Yes, I do need one more kitchen gadget. Gosh, that takes me back to Scotland as a youngster. 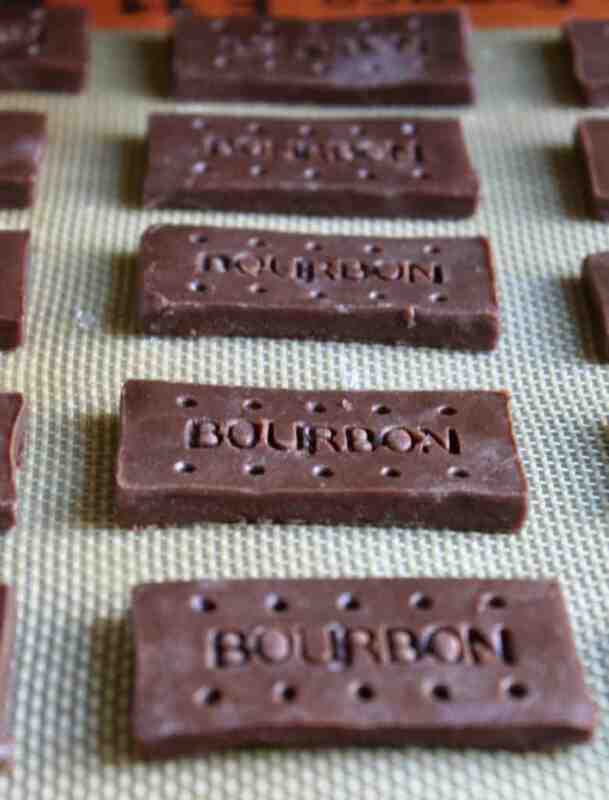 I’d completely forgotten about Bourbon biscuits! Yours look better than the real thing – and adore these cutters! Love the cookie cutters! They make these cookies look so perfect! They absolutely do, Diana! They work perfectly! I love them! Ooh yes, you’ll love them! Ok fair enough, this makes you an official biscuit black belt, they look fantastic! Love that stamp, superb! Haha! I have to say, I like the sound of being a “biscuit black belt”! Too funny! Thank you, Brian! 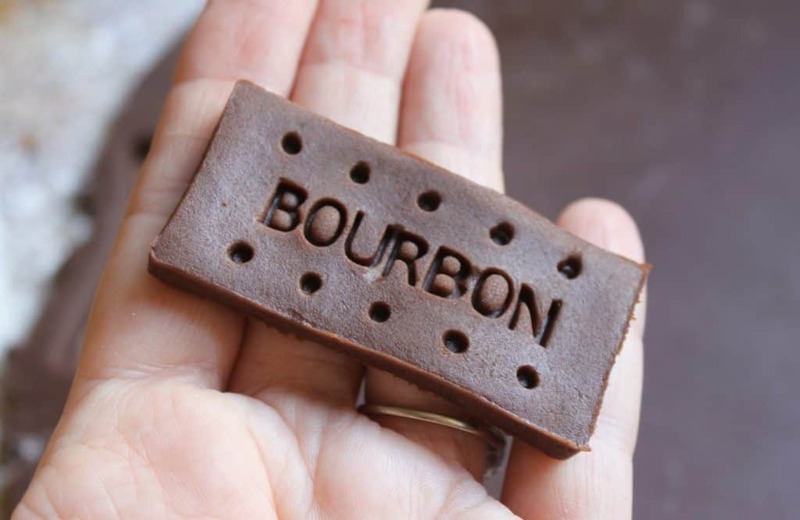 I have to say, I have never tried a Bourbon biscuit! That sound similar to chocolatey Shortbread. Those cutters are pretty cool. They make them look very professional! I have a set of cookie cutters that you can pull out the letters and personalize. Yes they are, Liz! I forgot to mention that they stay fresh for a long time! Truly perfect for the holidays! These look so delicious and will be a unique treat when the American Christmas cookie swaps come along! I’ll make them with vegan butter so they fit my dairy free diet. Oh yes, absolutely on both counts! Enjoy, Amy! Holy Cannoli I cannot wait to make these! I have everyone of these ingredients in my kitchen. So I guess I should walk away from the computer and get baking! I should have brought you a couple to try the other night! 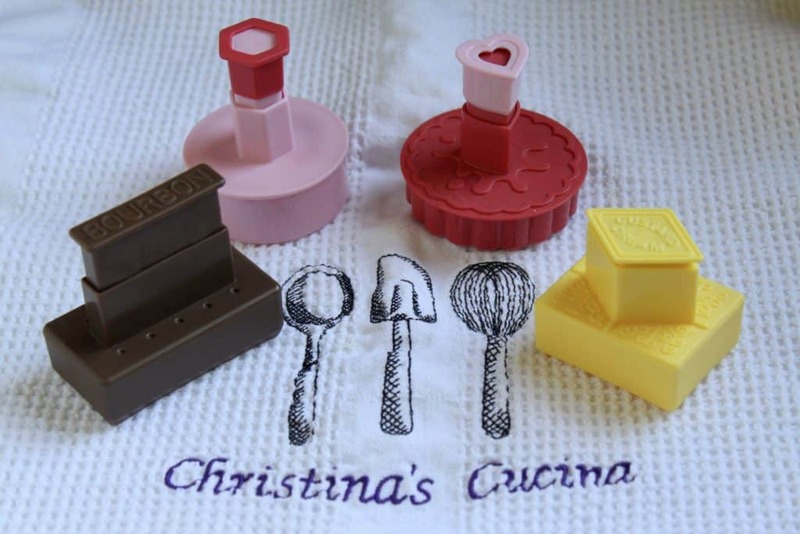 Christina, these look positively divine and so great for gift giving coming up to Christmas. I look forward to making these for ‘trial’ purposes first – you know, for personal quality control testing! As with all of your recipes, they’ve always been a hit with my family. I’ve lost count how many times I’ve made your perfect donut recipe. Many family members and my kids friends actually expect them whenever they visit. Fancy that! I’m now known as the donut mum!!!! I LOVE that you’re the Doughnut Mum! I had to capitalize your “title”! :) I bet that comes in handy for leverage when you want something from a doughnut lover, right? I’m glad you’re going to do a test batch of Bourbons first, as you never know what could happen and you wouldn’t want to give THOSE away, right? ;) Haha! Yes! They are actually perfect for gifts as they stay fresh for well over a week. The Custard Creams are great for that, too! Happy baking!